Got heating troubles? Service Professor’s boiler maintenance services in Grand Rapids, West Michigan, is here for you. As a full-service heating repair and installation company, we handle a variety of maintenance services to ensure that your boiler is working for your comfort. Not Sure if You Have a Boiler or a Furnace? Both boilers and furnaces can be used for central heating for your home or office. But you should know which one you have to help your heating technician when you have heating problems. If you have a baseboard, then more than likely you have a boiler installed to heat your home. With a furnace, you would have ductwork installed. Boilers and Furnaces operate differently as well. They use different methods to heat your home. A furnace uses warm air while a boiler uses hot water. Boilers heat water and then provide steam or hot water for heating. The steam is circulated throughout your home using pipes to steam radiators. If your boiler uses hot water, then the water is distributed via a baseboard radiator or by use of a radiant floor system. Both building heating methods carry high efficient models for keeping your home warm. Knowing which heating system is making your home warm and comfortable can help your technician come fully prepared to handle your maintenance issues. But, if you are unsure, then they can easily determine what heating system you have and how to maintain it for you. A high-efficiency boiler can be an effective way to save money on your home’s heating. But, if it’s not working properly you could be losing efficiency. Having a professional heating company to regularly service and maintain your boiler allows you to continue taking advantage of your energy savings. Preventive boiler maintenance service helps to prevent major problems and losses. This type of maintenance service is designed to cover specific areas to ensure that you don’t lose heating and leave you in the cold. So, if you haven’t had your boiler serviced in a while, request a boiler inspection and maintenance service from Service Professor. Your boiler uses hot water to heat your home or office. And because of this, it can suffer leaks which causes your boiler to malfunction or lead to other problems in your home. Our technicians can detect the source of the leaks and repair the leaky boiler. If you notice a boiler leak, shut off the water and gas supplies to the boiler and quickly call a qualified boiler technician. Our technicians will troubleshoot to find all the problems affecting your boiler. Whether you have a gas or electric boiler, our boiler technicians can repair it for you. When faced with those harsh Michigan winters it’s always good to have a quality heating company on call to handle all your emergency repairs. When you need fast, reliable response to your boiler problems to keep you warm in this winter call Service Professor. We provide 24-hour repair service for most makes and models of boilers. Call us to find out if we can repair your boiler for you. When you need to find a quality boiler maintenance service to keep your furnace working, then you know who to call. Service Professor. Service Professor is a fully insured and licensed HVAC company. 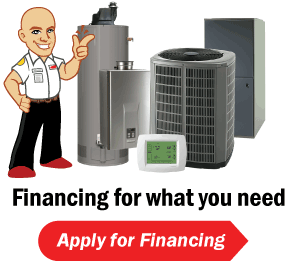 We are a full-service heating repair and maintenance service serving the West Michigan area. We are the choice company for residents and business owners in Grand Rapids and surrounding cities. And our technicians are all highly-trained and equipped to take care of your boiler problems and keep it working. You can also access 24/7 emergency boiler repair service for Grand Rapids and the neighboring cities. Call Service Professor today at 616-871-1900616-871-1900. © 2019 Service Professor, Inc.